Christian G. submitted this photo and caption. 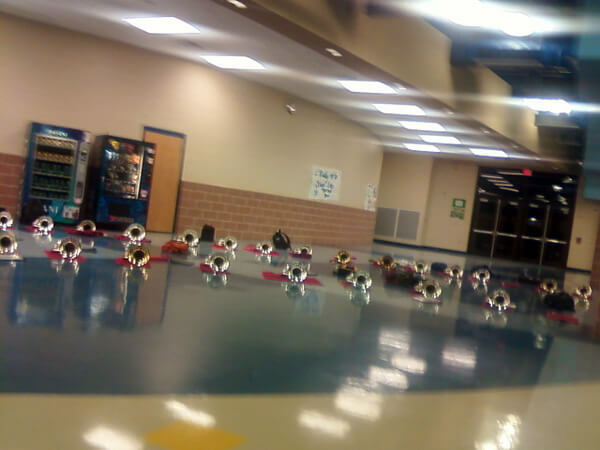 This picture was taken at Johnson High School in San Antonio, Texas, during the 2011 Crossmen call-back camp in December. Looking professional and organized on and off the field, and in a cafeteria, was one of the many skills we all learned that weekend.